Categories: Cluster events, Internationalization | Tags: biomarkers, diagnostics, drug discovery, e-health technologies, Life Science Clusters, medical technologies, pharmaceuticals | Permalink. The bioXclusters partners are now back from their US Mission and would like to thank everyone who helped make their trip so successful and who, in addition, helped them gain a much greater understanding of the opportunities which this market represents and the life sciences environment in the US in general. The bioXclusters partners, along with some European SMEs, visited Shanghai in May 2013. Read the report about the mission which includes descriptions of the visits made and information about life sciences in this exciting and fast growing market. Categories: China, Internationalization, Reports, Uncategorized | Permalink. Download the the complete program for the US Mission to Boston which will take place at the end of October 2013. Categories: Biotech & Health Care, Internationalization, Updates, USA | Permalink. 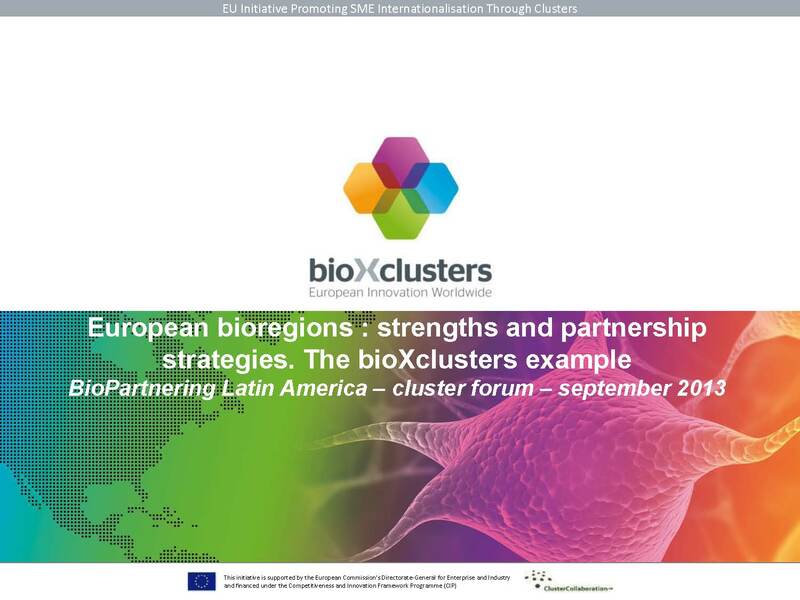 You can now download the presentation given at Biopartering Latin America 2013, where different bioclusters from Europe and Brazil shared their interests and objectives. Categories: Brazil, Internationalization | Permalink.